What’s the Difference Between Natural & Adapted Style DiSC Profiles? DiSC Natural vs. Adapted Style in Salespeople – What’s the Difference? First off, what is a DiSC assessment and why does it matter for your company? A DiSC assessment is a non-judgmental personality test that looks at the way people think, behave, and how they interact with one another. It looks at behavioral patterns, what motivates individuals, and tells you more about how they like to communicate. It can be also be a great tool for looking at how well they will receive criticism or how they prefer to be praised. 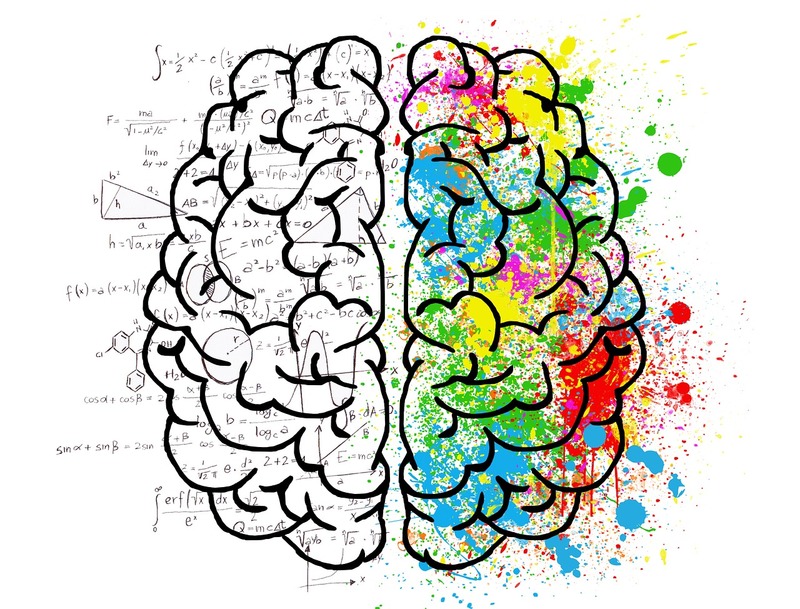 DiSC is now widely adopted in classrooms or companies since it indicates one’s preferences based on how they would act naturally, known as Natural Style, versus how they would act given a particular scenario or stressor, or Adapted Style. But what does that mean and how should you interpret this and the applicant taking it? At Advance Hiring Systems, we have come to learn that by understanding the DiSC profile can lead to hiring more top performers more often. And not just that, but improve work productivity, cooperation, and communication across all teams and departments. What Does a Natural DiSC Profile Look Like? A good definition of Natural Style is how the applicant sees themselves deep down inside — one’s natural self. It’s known as an applicant’s default pattern of behavior. Natural Style tends to be fixed and less subject to change. Most of us “are who we are”, and there is little that can be done about changing this, most of the time. If a person’s Natural Style changes, it is typically due to a major life event, such as birth of a child, death of a loved one, marriage, divorce and of course, major career changes. 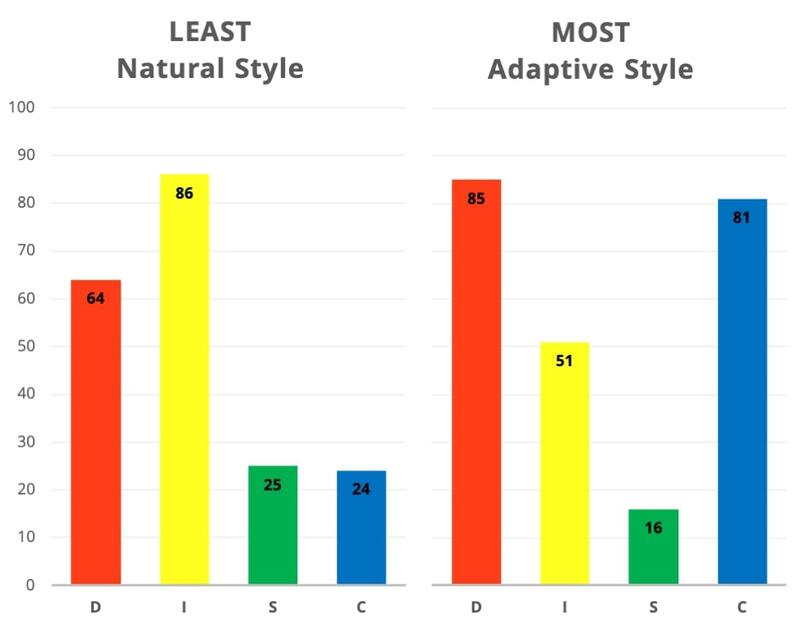 Below is an example scoring of a Natural Style versus an Adaptive Style. Immediately, you’ll notice that Natural Styles have high influence (i), which indicates strong enthusiasm, popularity, and freedom of expression. But on the other side of the coin, they tend to be impulsive, disorganized, and heavily motivated by social recognition. Natural Styles are also much lower on steadiness (S) and conscientiousness (C). This means they aren’t as motivated by cooperation or producing results. But they are better at making quick decisions and saying what needs to be said. What Does an Adaptive DiSC Profile Look Like? The definition of the Adapted Style is how the applicant sees themselves needing to behave in order to do the job effectively. It is a result of the applicant thinking about how they would act, unnatural to how they actually would behave in a given scenario. People tend to give up natural tendencies if given a strong enough life event. Looking at the graph above, Adaptive Styles excel in dominance (D) and conscientiousness (C). Meaning that these applicants are driven by gaining knowledge, competition, and friendly showboating. These seek to accomplish goals and find new opportunities to grow. Instead of hiring based on a person’s Natural or Adaptive Style, customize your screening process to better evaluate how each DiSC style would face your company’s daily challenges. 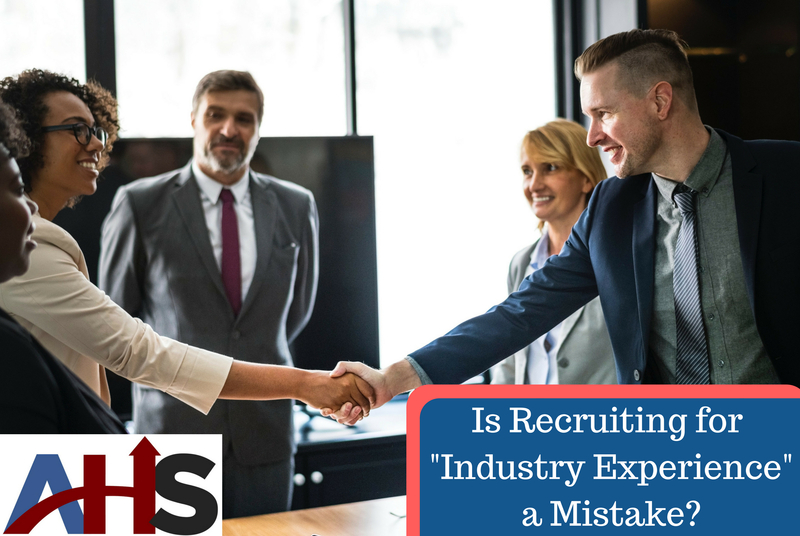 Our data here at Advanced Hiring Systems has shown that using the DiSC personality test properly gets you a significant improvement in sales hiring effectiveness, when used correctly. For more information on our hiring assessments or the DiSC profile, call Advanced Hiring Systems at 703-229-4224 or write to us at [email protected].